A set of possible solutions to try when a popup does not scroll properly, or the page scrolls but the popup does not. The first thing you need to do to make sure your popup scrolls properly is do not enable the the Fixed Positioning setting. In the Popup Editor, go to the 'Popup Settings' box -> 'Display' option tab -> 'Position' category. 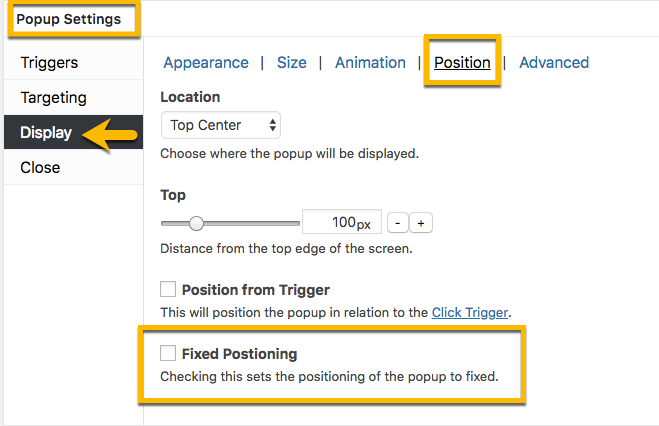 Locate the checkbox labeled 'Fixed Positioning' and set it to unchecked (default setting). Looking at the scrollbar, we clearly can't scroll up any more, but it looks like we're missing a huge part of the top of our popup. 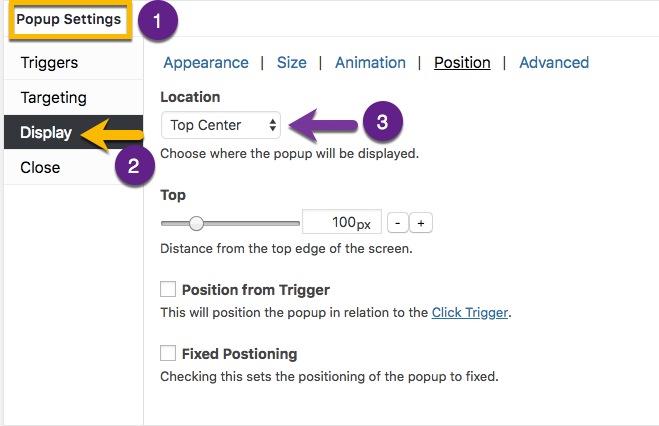 When a popup is too tall for a screen, or if there's a possibility it may be too tall for smaller screens, then you must set your Popup Position Location to Top Center. 'Display' option tab -> 'Position' category. Change the 'Location' selector from 'Middle Center' to 'Top Center'. 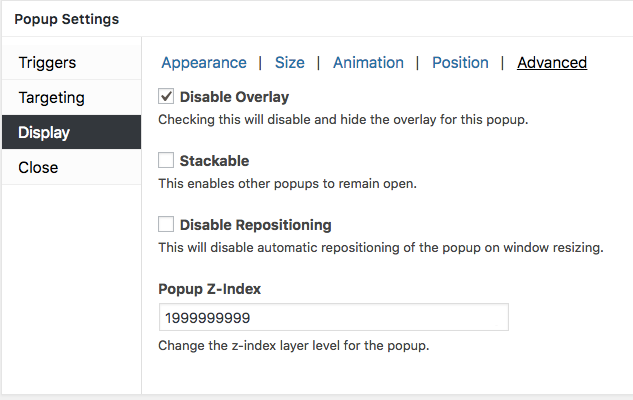 Using iFrames within your popups is not only a cumbersome solution, but it's not responsive, and will give you headaches across multiple platforms and devices. If you're using iFrames in your popups, expect problems. Unfortunately, when it comes to iFrames, there's nothing we can do on our end to make the situation better - this is just the nature of iFrames. It's highly recommended that you find a way to replace what you're trying to do without using iFrames. The good news is that it shouldn't be a problem to find a replacement solution, as most up-to-date plugins and sites don't use iFrames because of the inherent restrictions associated with them. Using this code will give the scrollbars the proper styling so that they work as intended. If the code above (5a) causes the page to jump to the top of the screen when the popup is triggered, use the modified CSS below (5b). Related article: Why Does My Page Jump to the Top When a Popup Is Triggered. If all else fails, disabling the Popup Overlay will likely fix your issue. This is a last resort, as most people like having the Overlay as a part of their popup because of the aesthetics it adds. Set the checkbox labeled 'Disable Overlay' to checked. Sometimes, the simplest solution is the correct one.